En este post las 2 versiones, el Ministerio de Defensa que hice (americano) se va a colocar todas las contribuciones que están aquí en esta página y por "74girl" para los enlaces a la versión coreana. Eso se hizo en este mod? Este parche en su versión original ha sido descargado de una página de Corea, a partir de ahí empecé a trabajar para restaurar algunas cosas a su versión original y así convertir el MOD en una versión americana. Eso fue en la versión 1? En la versión 1, voy a cambiar el marcador a la FOX con su música FOX, pero para actualizar la "Lista" para aquellos de BsuFan, me di cuenta de que algunos jugadores no estaban de acuerdo a las caras, así que me decidí a trabajar en una versión 2. Fue hecho en la versión 2? La versión 2 se trabajó para hacer un MOD fin completo y actualizado, así que esto fue lo que se hizo y cuando le di las gracias, teniendo en cuenta que en el instalador MOD usted aparece, revelando el gran esfuerzo, el tiempo dedicado a hacer esto posible y no abandonar la MLB 2K12. Estadios a las versiones más recientes de esta página a un total de 38 estadios fueron actualizados, incluyendo el juego "All-Start". Uniformes siguiente manera han actualizado uniformes "Práctica de bateo" fueron retirados y los uniformes clásicos y se añade a cada equipo (no todos), se le añadió una aún más dejando que sigue, la "Casa", "Ausente", "Alternativa" y 3 Classic ( Equipamiento de serie "All-Start" también está instalado en el Ministerio de Defensa). 1612 lados fueron recogidos y actualizados a la última publicada aquí, teniendo en cuenta que eliminan la MOD originales (Corea) y volver a reestructurar la lista de "BSU FAN". La lista fue tomada por "BsuFan" la versión MLB2K15byBsuFanV5 fue actualizado hasta la fecha, se corrigieron las posiciones de algunos jugadores, peso, altura, etc., los puertos se corrigieron caras repetidas y añadir puertos para caras nuevas. Gracias a BsuFan la Lista. Gracias a "scottybilly" por portrait.iff y portrait.cdf, algunos se añadieron mediante la actualización de la lista. - Se eliminó el efecto del sudor de Corea MOD (los jugadores son muy brillantes) y restaurado a la versión original. - La introducción de "Dustin Pedroia" es mío. - Le hicieron instalador para la instalación fácil (El instalador viene con los mismos créditos para mencionar aquí.). MOD 2K15 Americana (Aportes MVPMODS) . 1. Instalar el juego MLB 2K12 (Sin ninguna modificación.). 2. 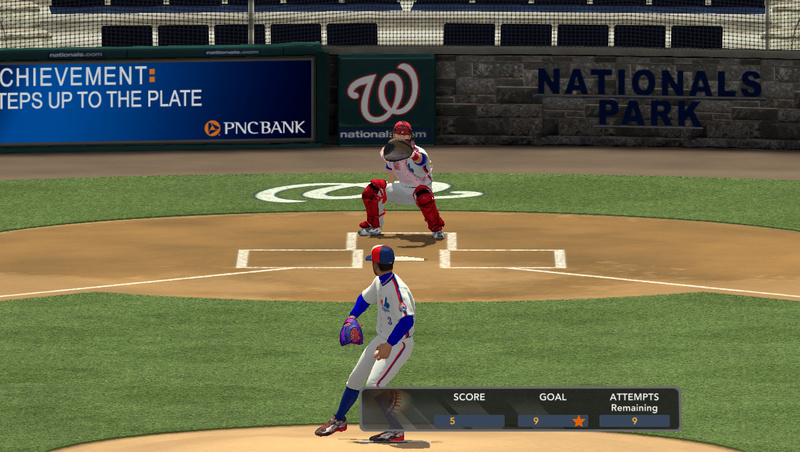 Instale el MOD V2 2K12 (Run "MOD V2 MLB 2K15" (icono de béisbol).). 3. Instale los roster "Torettowr_26_06.ROS" en "C: \ Users \ XXXXXX \ AppData \ Roaming \ 2K Sports \ Major League Baseball 2K12 \ Saves"
4. Disfrute de la MOD. 1. La lista no admite la versión coreana. 2. El crack es para evitar el cambio de la fecha del sistema. 3. Publicación de la lista actualizada que viene será el 2 de julio de este año. - El logotipo "mlb Mania" se elimina completamente restaurando así el juego original "2Ksport". - Los logotipos "All-Start" se añadió, ya que faltaba eso. - Nuevos logotipos de los equipos. Nota: Haga una copia de estos archivos en el caso usted no quiere que los nuevos logotipos, "mediumlogos2d.iff" y "mediumlogos2d.cdf". Fijar blanco receptor "Franquicia Modo". - El problema es que los monos blancos del receptor (ver foto), se corrige y es de color rojo. So what is specifically in this "Americanized" version of the Korean patch that is original and not already uploaded here by myself and others? In the video I see different logos/icons for each team on the team select screen, and a Dustin Pedroia titlepage that you made. As long as the admins are okay with this, go ahead and upload your "patch". I was hoping for a lot more original work than this though, considering a total conversion mod is being released by contributors here relatively soon. I did read in the post what you said you did. I have had my hands on the korean 2K15 modfor a while, and I've enjoyed the work involved in it so far that hasn't been translated. A lot of the uniforms made in this mod are original with the exception of some textures here and there that I've worked on, but that's not a big deal to me. Not that I don't care but if I cared so strongly about my work like so many people do, I would never release it and only show screenshots every now and then of what I've done. The most important change that is in this mod to me is the global.iff file as well as some logo changes, and that's great. I've been working on my own global.iff update this year and I'm glad to see that there's new cleats and batting gloves included as well as some textures/logos that are entirely different/new. Some of the frontend stuff is new as well, but most of the whopping changes like stadiums and stuff we haven't exactly touched from last year with the exception of the work DaSteelerz has put out to date. All in all it's a great mod for anyone who just recently installed 2K12 or would like to update their game to 2015 as of June. I honestly feel like we should use this as a base to stack what we've got in terms of current work on it so we have a definitive mod that EVERYONE can enjoy and it's recognized as a collective effort by the MLB2K community and not just something like an MVPMods version and a mod from the asian MLB2K community. Nobody ultimately wins if we have that approach to any projects here on this site. I think picking apart this or any mod in an effort to find out what is what and who did what is rather petty in my opinion when it's explicitly stated who's done what, but that's just me. But c'mon. There are very talented modders in Korea, and elsewhere that mod stadiums, cyberfaces, etc. themselves. That's what I was hoping to see more of personally. Friend here's the "Korean MOD" where I got it. Did you include all the mod in this link? Like KC said, this seems to be an overall solid package for someone who is just starting out, but I too was expecting something more from the Korean modders. However, I'm not gonna fully judge this until I have gotten my hands on it. It's gonna be indeed interesting to check out the new accessories (I'm sure the "sweat" could be a good addition if we can tweak it) and see what we can come up to with the MVPMods Version of 2K15. I'm going to be nitpicking here, but wouldn't it be awesome if, instead of having two versions of pretty much the same mod, other Koran modders would come share their work with us (like some already have), so we could improve the game together? We could release one full mod, instead of having people take the work posted here and just releasing it, more often than not without asking or giving credit... This is something I will never understand, but oh well. Eye boys that link NOT THE VERSION 2 project is the Korean version. Just I put the link to see what they had and what was upgraded to version 2 of the project was done. I appreciate the links. Thanks, friend. So I'm just checking out the global.iff file since it's been updated since April of this year. There's a mod there that includes sweat for players.